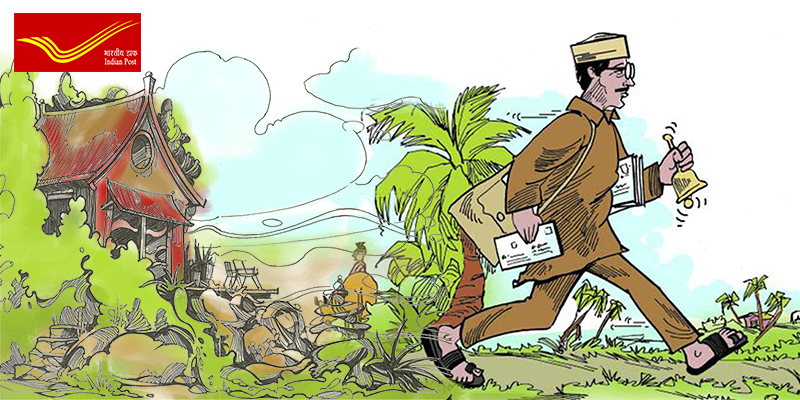 Home Travel DAAKIYA DAAK LAAYA – India’s unusual Postal affair! DAAKIYA DAAK LAAYA – India’s unusual Postal affair! As a part of distinct postal systems in our country pre-independence, we today have the largest postal network in the world. But let’s not stop boasting about it. 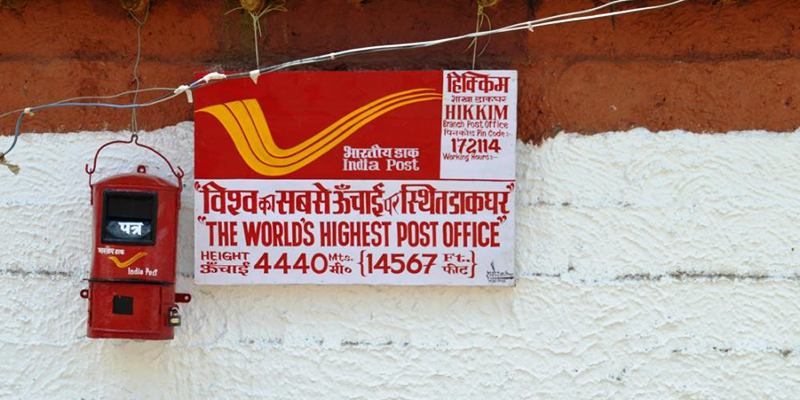 There is more to go in the unusual list about post-offices in India. 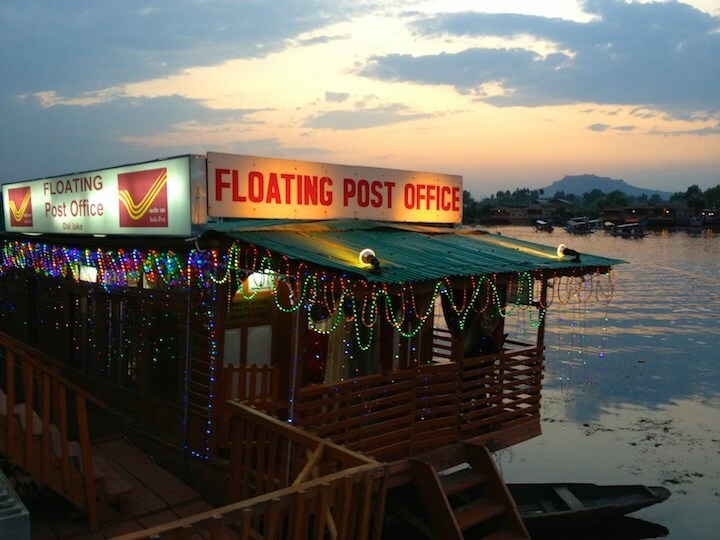 India’s first FLOATING POST OFFICE! One of the major attractions of Srinagar in Jammu and Kashmir is the Dal Lake which is known for its natural beauty and another jewel in its crown is India’s first floating post office! Started in August 2011, the post office is also looked as a tribute to the beautiful Dal Lake. Standing on a huge houseboat, the post office also includes a philately museum (traces the philatelic history of the state postal department) and a shop that sells postage stamps among other things. These include picture postcards, greeting cards, local souvenir items, stationary and several books on Kashmir. This post office lets you avail all the regular postal services available in the country while being afloat. The seal used on everything posted from the Floating Post Office is unique – along with the date and address, it bears the design of a boatman rowing a shikara on the Dal Lake.As a heritage post office, it was earlier known as the Nehru Park Post Office but was re-named in 2011. 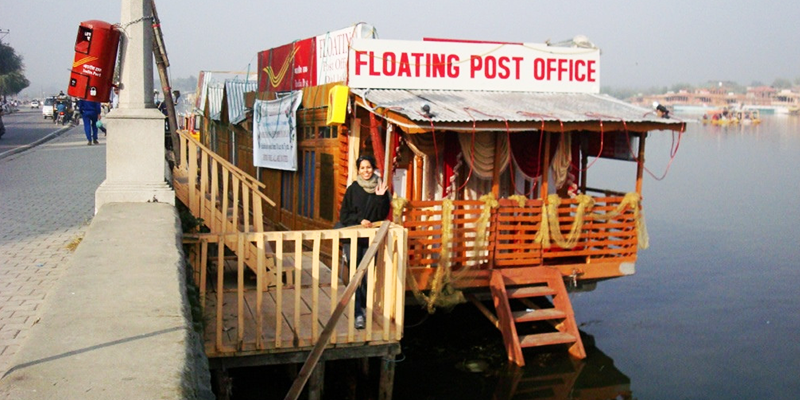 The Dal Lake which is known as one of the most beautiful lakes in India, this lovely floating post office just adds more to its gorgeousness! 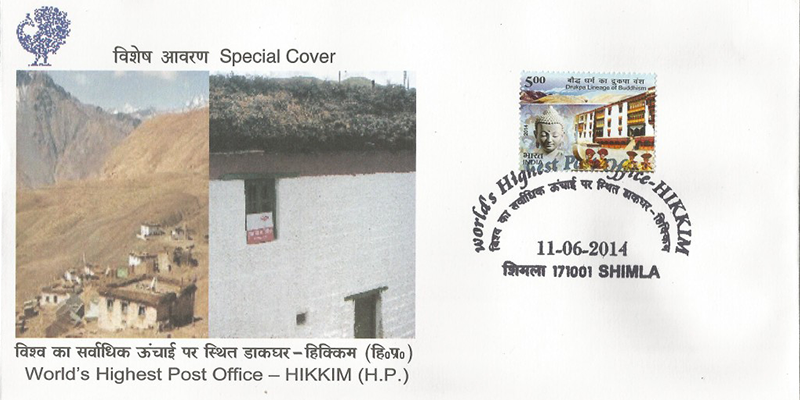 Located at an altitude of 15, 500 ft, makes Hikkim’s post office, the highest post-office in the world. It was opened on November 5, 1983, and Rinchen Chhering has been the branch postmaster here since then. Hikkim is a village in Lahaul and Spiti district of Himachal Pradesh. The post office is shut for six months of the year because of snow. It is here that the monks from the nearby monasteries receive their passports to undertake overseas pilgrimages, where local farmers maintain savings accounts, and where curious tourists come to send postcards. 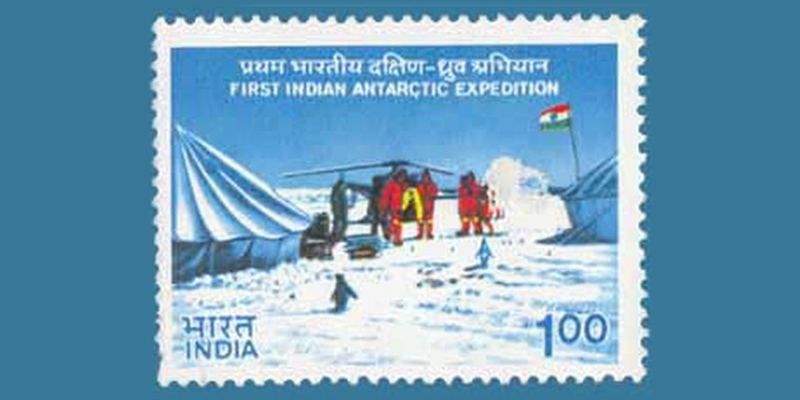 This post office became operational on February 24, 1984, during the third Indian expedition to the southern continent of Antarctica. It was a multiple support system including ice-melting plant, laboratories, storage and recreational facilities. But soon on January 26, 1988, the Dakshin Gangotri PO was established under the Department of Post at Goa. Scientist G. Sudhakar Rao, who went to Antarctica as a member of the Seventh Indian Scientific Expedition in 1987, became its first honorary postmaster. 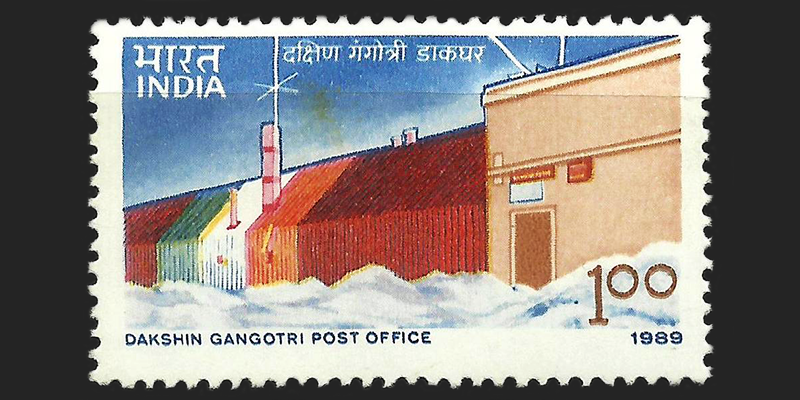 Meanwhile, Dakshin Gangotri PO in Antarctica was decommissioned in 1990 after it got half buried in ice. This stamp was issued to commemorate the PO building in its ice-bound surroundings in Antarctica. We as a country are culturally rich. With so many unusualties in every nook and corner, as the largest democracy in the world, India shines like a rising star. Next articleReady for an adventurous trip to Ladakh? Thank you Avantika for reading our blogs. Keep reading and stay connected with us.